The Colorado Bandmasters association is constantly looking toward the future of music in our schools and music education. To this end, we have a number of ways that we give back to our members and their students to help perpetuate quality music education in the band programs around the state. The CBA Student Teaching Scholarship is awarded to a deserving pre-service (student teacher) in the fall, and one in the spring. Applicants are awarded $1,250.00 to use however they feel necessary to offset the expenses of student teaching. Applicants must complete a CBA Student Teaching Scholarship Application and submit before the deadline. Fall Semester Scholarship - Applications are available here from November 1 to November 15. All applications must be signed by their cooperating teacher who must be a current member of CBA. Deadline for submission is November 15. The Scholarship Committee (see below) reviews all applications and contacts cooperating teachers for follow-up. Applicants are notified on December 1 and are expected to attend the CBA General meeting at the Colorado Music Educators convention in January to receive their award. Spring Semester Scholarship - Applications are available here from April 1 to April 15. All applications must be signed by their cooperating teacher who must be a current member of CBA. Deadline for submission is April 15. The Scholarship Committee (see below) reviews all applications and contacts cooperating teachers for follow-up. Applicants are notified on May 1 and are expected to attend the CBA General meeting at the CBA Summer convention in July to receive their award. Longtime member Jess Gerardi has generously created a $2,000.00 per year scholarship to be given to one or more deserving high school student(s). This is a one time (per person) award that the student(s) may choose to use any way they need to while attending college. This scholarship may increase (both in amount and number offered) as the endowment grows. Read more about Dr. Gerardi and his legacy to Colorado bands HERE. High School Senior must have been a member of their high school band program for their entire time in high school (3 or 4 years depending on the school). Student must attend any Colorado College/University as a music major (need not be music ed), and must be a member of the college/university band program while at the school. The students high school band director must be a current member of CBA. 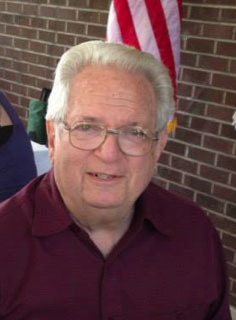 The J. L. Gerardi Memorial Scholarship application is announced each year at the General Meeting at the CMEA Convention in January and applications become available April 1 each year. Completed applications are due no later than May 5 each year. The scholarship committee (see below) will review all applications in May and the scholarship award will be announced on June 1. The scholarship winner will be presented to the membership and Dr. Gerardi at the annual Hall of Fame Banquet at the CBA Summer Convention held each year in July. Upon his passing, the family of Jon Wiegardt have generously presented CBA with $4,000.00 to distribute to deserving band students around the state. Read more about Jon and the legacy he left to Colorado HERE. The criteria and distribution plan is currently under development, but the hope is to have a plan and process in place for distribution in the Spring of 2019. This is a one time amount and once the $4,000.00 has been distributed, the award will no longer be offered. Check back for more information on this wonderful award. The CBA Scholarship Committee consists of the Current CBA President, President-Elect, Past President (who serves as the chair), and 3 members at large. The committee is formed for 1 year (Convention to Convention) and is responsible for selecting recipients of the CBA Student Teaching Scholarship and the Jess Gerardi Music Scholarship. If any of the members of the committee have a current student applying for the scholarship, they are asked to remove themselves for that particular scholarship and the Past President will appoint a current CBA member to fill in for that one scholarship. Any member interested in serving on the CBA Scholarship Committee should look over the Scholarship Procedures below and if they feel they can meet all the the obligations let the current Past President know of their interest.